In a little over a week I will be leaving for a 26 day trip to Alaska to lead three sold out brown bear workshops. As I prepare for this trip I am looking forward to sharing my equipment choices here on my blog. The Jobu Design Jr.3 gimbal head is one of my newest pieces of equipment and will be coming to Alaska with me for the first time. Over the three months of field testing this head has become my new favorite and has now replaced my 4th Generation Mongoose as my main gimbal head. You should take a serious look at this head and if you are interested in buying one Jobu offered my blog readers and workshop participants a special 15% or $52 discount. See the bottom of this post for ordering details. Jobu Jr. 3 heads will also be available for test drives in all of my future workshops. Also if you are in the Tampa or Los Angeles area and would like to give the head a try let me know. In August I will be posting a Jobu Design Jr.3 complete field report from Alaska but for now here are some highlights to get you interested. This is lighter than the mongoose and less than half the weight of the Wimberley II head. This head locks and stays locked even with a side mounted 500mm VR Nikkor lens. This head makes it easy to dial in just the right amount of pre-load for the smoothest planning and tilting you have ever seen. At 9 x 8" (22.86 x 20.32cm) this is smaller than a Mongoose and about half the size of a Wimberly II. 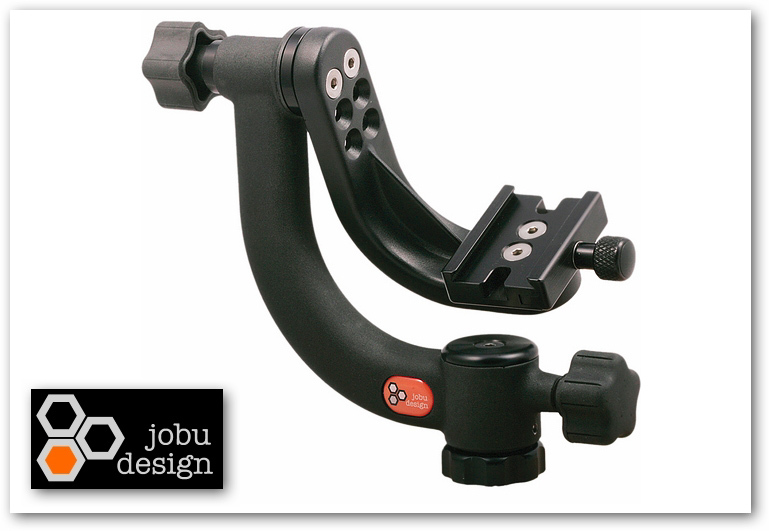 The removable swing arm (HM-J2) makes converting to a lighter side mount style easy. Rubberized knobs make handling in cold and wet weather easy even with gloves. This is a great feature if you are like me and like to mount your gimbal head on the right side to keep your lens controls on the left side accessible. The one-piece hollow, cast, heat treated design keeps the head totally free from flex. The clamp design makes lever clamp style pre-load adjustments unnecessary. Jobu Design makes customer service and support a first priority. $349 for such a well engineered, high quality, high performance head is unheard of in the tripod head industry. To purchase this head directly from Jobu with the 15% discount follow these simple instructions. 1. Follow this link, a new window should open if not open a new tab in your browser and past the address into the URL window. 4. Press the orange update button under the subtotal box. 5. Press the orange checkout button or the continue shopping button right next to the update button.